Grammy award winning DJ and producer, Afrojack, is one of most notable and iconic names in electronic dance music (EDM) today. At only 26 years old he has made a large impact on the music industry and is a key player in the worldwide explosion and popularity of EDM. In 2013, Forbes magazine crowned him as #7 on ‘The World’s Highest Paid DJs List’ and this year The Hollywood Reporter called him ”a global icon” set ”to conquer the world.” A talented producer and artist Afrojack is versatile and creative with his sound whether creating club hits or producing and remixing for the likes of Beyoncé, Pitbull or Madonna. Afrojack is adept at shifting between genres and playing with his sound and it’s easy to see why his skills are some of the most sought after in the world. 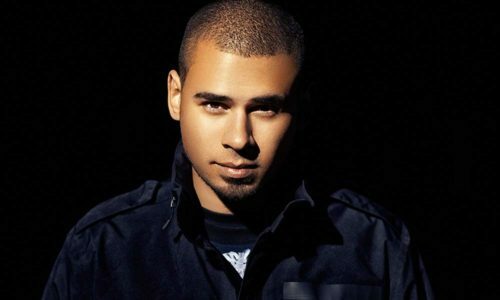 Starting off in his hometown of Spijkenisse, Nick van de Wall aka Afrojack, quickly made a name for himself with a slew of hard-hitting underground releases, before exploding on the music scene in 2011 with the release of ‘Take Over Control’ – an instant worldwide club and chart hit the single reached platinum status in the U.S. Afrojack then went onto develop his own imprint in the production world with his label ‘Wall Recordings’ – a platform by which other passionate EDM artists could grow. He also wanted his label to retain the ‘club music’ brand, something he strives for with every Afrojack release. 2011 also saw Afrojack sign a landmark deal to become one of the first ever DJ’s to sign an annual residency in Las Vegas, at the legendary Wynn Hotel. The residency saw Afrojack perform over a dozen times a year at Wynn clubs including Encore Beach Club, Surrender, Tryst and XS. From there the success continued; as well as making club hits and collaborating with the likes of David Guetta (co-writing and producing the worldwide smash ‘Titanium’), he also began to team up with and write for A-list pop artists around the world, including Madonna and Chris Brown. In 2011, he co-wrote and produced ‘Give Me Everything’ for Pitbull and Ne-Yo, which to this day has sold more than 8 million copies worldwide and reached #1 in the US Billboard Hot 100 Charts. Not to mention his production work for Beyonce’s ‘Run the World (Girls),’ his Grammy nominated remix for Leona Lewis’ ‘Collide’ and his 2011 underground track ‘Rock The House,’ which topped the Beatport dance music charts after just three days. The same year he headlined both EDC (Electric Daisy Carnival) NY & Las Vegas to over 300,000 people, as well as UMF (Ultra Music Festival) in Miami, Tomorrowland (in Belgium) and Coachella (LA) in addition a colossal 40 city ‘Jacked’ tour of the United States, all packed into 2012. In late 2013 Afrojack made history as he became the first DJ to ring the closing bell at NASDAQ Stock Market Exchange in New York, as electronic dance company, SFX, went public. This also came in the same week as Afrojack cemented his hands into the Hollywood Walk of Fame, the second DJ to ever do this and in doing so reinforced his position as a global music icon. 2014 is set to be another milestone year for Afrojack as he releases his second single ‘Ten Feet Tall’, starts a new DJ residency at Las Vegas hotspot Hakkasan and releases his debut album with Island Records. This spring he returns to Miami as headliner on the Ultra Music Festival and to give his loyal fans a first taste and preview of his highly anticipated album set for release this May. Given Afrojack’s immense popularity and influence on the music industry it is no surprise that many corporate brands have flocked to him for brand partnerships. Afrojack recently announced a partnership with globally celebrated fashion label ‘G-Star Raw’ for his own line of Afrojack inspired designs that will be sold worldwide. He was also sought out by leading gaming company, Razer, to be a brand consultant on the development of future products. Further, this January saw Nick’s latest single, ‘Ten Feet Tall’, premiere as a part of Bud Light’s new commercial during the Superbowl.